As we grow older, there might be some things that we cannot control anymore. This may include the decline in our health or even the gradual loss of memory. However, for some people, they may have to deal with their inability to manage the activities in their urinary tract. It could end up with them having accidents due to incontinence. We never know if they need serious attention about incontinence care unless we ask someone who is expert about it. Once we see the first few signs of discomfort in discharging their waste or controlling their urine, we must ask their doctor if this is normal or they need special attention from a caregiver. It is also safe to ask about your loved one’s condition, their doctor might be able to give a remedy to it because it can still be treated. This can save you from hassle and effort. You never know when you will need it. Pack some tissues, alcohol and sanitary wipes to ensure that wherever you go, you can still keep them clean and hygienic. Do not let your loved ones limit their activity just because they need incontinence care at home. There might be a time wherein your senior patient may suddenly discharge their waste or pee on their pants. Say such situation happened while you were walking in the mall or you just cleaned the sheets, this can be very stressful. However, we still have to be mindful of our comments and reactions. We have to understand that our patient and our loved ones are undergoing some difficulties in their condition too. They can be very sensitive with to our reactions. They might think that they are becoming a burden to us. Instead, we have to empathize with them and tell them that it is okay and we will just try to fix it. Indeed, trying to keep up with the changes in our senior loved one’s health can be a difficult thing to do. It might even be more challenging on our part. But with these three easy tips for Senior Home Care Services in Georgia from Abundant Life Assisted Services, we assure you that you can make a difference. 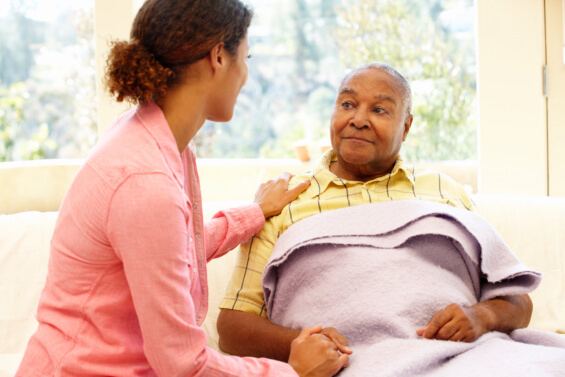 However, if you need the help of our experts, you can inquire about our home care services at www.alascare.com or call us for reservations at 678-319-0307. This entry was posted in Caregivers, Elder Care, Home Care and tagged Elder Care Tips, Home Care, Home Health, Incontinence Care, Senior Home Care. Bookmark the permalink.